Connecting you to programs, events and each other. Great News! The Library Book Truck is returning to Auburn Bay for the early Spring season! "Fabulous event. So much fun. Music was so good. Piano players were a blast. Great food & drinks." - Michelle, attended the Auburn Rules Dueling Pianos Event. "We had such a fantastic day! It couldn't have gone any better!" - Becky & Bryan, hosted their wedding ceremony and reception at Auburn House. 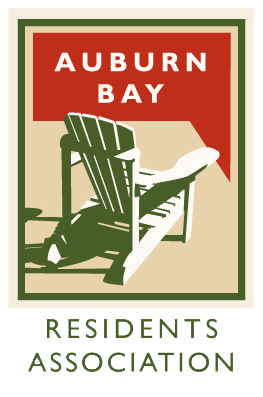 Thank you to NAIAD IRRIGATION SYSTEMS LTD. for their continued support of the Auburn Bay Residents Association and for again being one of our top sponsors for 2019! "Our family just wanted to say thank you once again for a fabulous event for our community!! Huge smiles on Dad's & son's face will be etched in my mind forever!! The activity choice, the staff and the food were top notch!" - Nilsen Family, attended the Father's Day Laser Tag event. "Thank you again so much for this amazing event you put on every year! My daughter has hoped every year to find the golden egg and treasured this like crazy!" - Christal, attended the Easter Eggstravaganza Event.